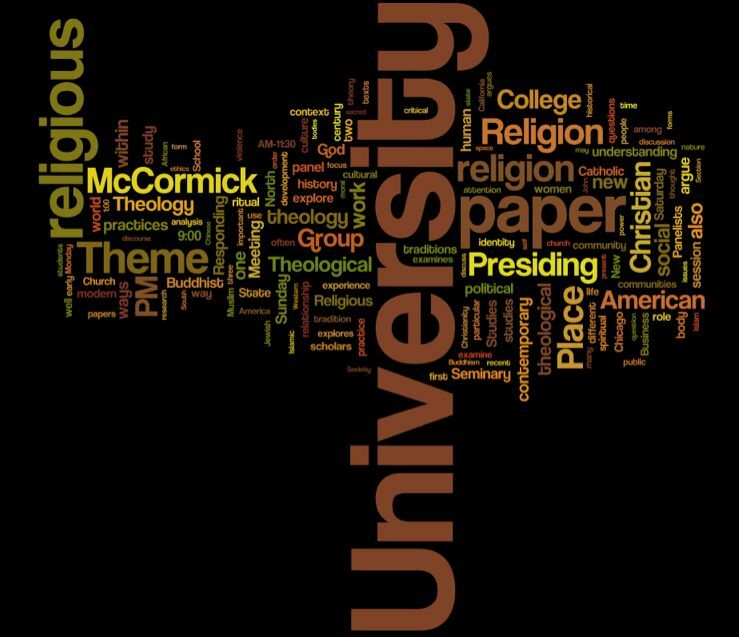 This morning, a friend on Facebook used wordle.com to create a tag cloud for the online program book of the upcoming annual meeting of the American Academy of Religion (AAR)–the largest professional association for scholars of religion. Another version is posted here. It’s hardly a scientific or systematic representation of what scholars of religion work on, and I’d hate to draw too many conclusions about the field simply from the frequency of certain words’ appearances in panel titles, paper titles, and abstracts for papers. (E.g., “University” is so large surely because it appears in almost every presenter’s institutional affiliation, which appears with every paper in the program book.) 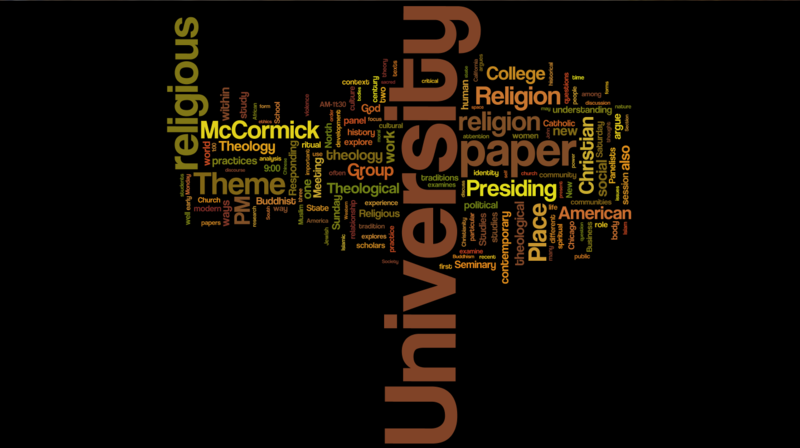 However, noticing how tiny the word “theory” is (I leave it to you to find that particular Waldo), it prompted me to wonder what a tag cloud for a truly social scientific conference on religion might look like–one that studied people rather than the claims they make. That is, would we find “experience,” “theology,” “Christian,” and “God” so prominent, and “history,” “human,” “people,” “culture,” and “order” so small…? Search the online program book for yourself–type in some interesting key words and see what you come up with.